Please contact us if you’ve got more questions and we’ll do our best to answer. Does Spirit One do towing? Yes, Spirit One Towing and Transport is a leading choice for professionals and consumers throughout the St. Louis metropolitan area. How can I pay for towing? Spirit One Towing and Transport accepts all major credit cards, cash, and checks. Does Spirit One offer business consulting? Yes, Spirit One Business Services offers a wide menu of consulting and performance development programs for automotive repair facilities. Does Spirit One offer educational services? Yes, Spirit One Educational Services offers both on-line, and in-person educational programs and workshops. Why am I redirected to an LMS? Spirit One Educational Services has partnered with a professional LMS service to ensure a quality experience and secure payment processes. How can I pay for products from the Education Store? 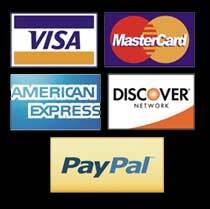 Spirit One Educational Services accepts all major credit cards and PayPal®. Does the Coaching Program involve a contract? No, Spirit One Business Performance prides itself on maintaining client loyalty through results and not contracts. May I ask for help from the Educational Services department even if I do not have the personal coaching option? Of course, you can. Our goal at Spirit One Educational services is for you to achieve.